I hadn’t come across the work of Ruben Brulat (above) before. He’s a young French artist represented in the UK by Lamb Arts, and his large-scale photographic works are simply breathtaking. 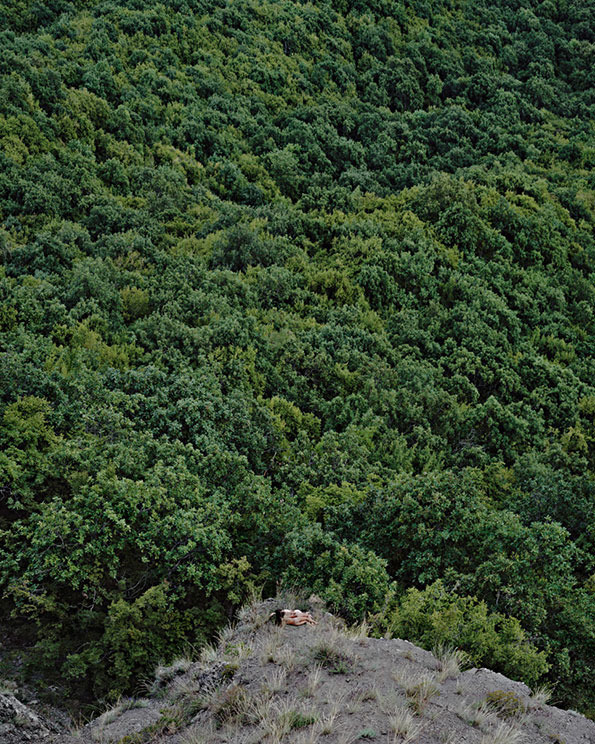 Such tremendous physicality dwarfed by all-encompassing natural landscapes… and more often than not it is actually him in the photo. 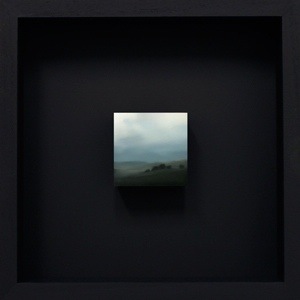 At the other end of the scale I also really enjoyed Gill Rocca‘s miniatures – quietly dramatic experiments in scale. 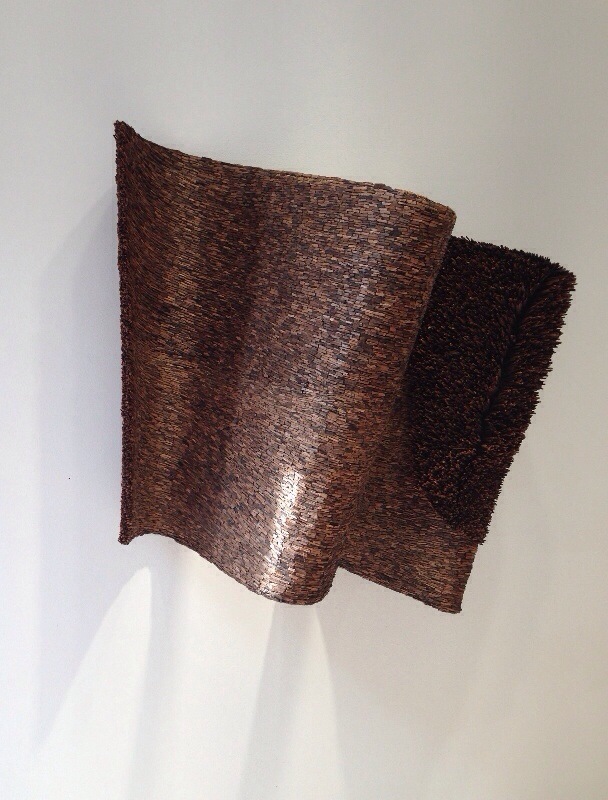 Probably the work that I enjoyed the most at the fair was that of Leonardo Drew, represented by Vigo Gallery. This image does his fantastic wall-based sculpture no justice at all – check it out in person if you can. 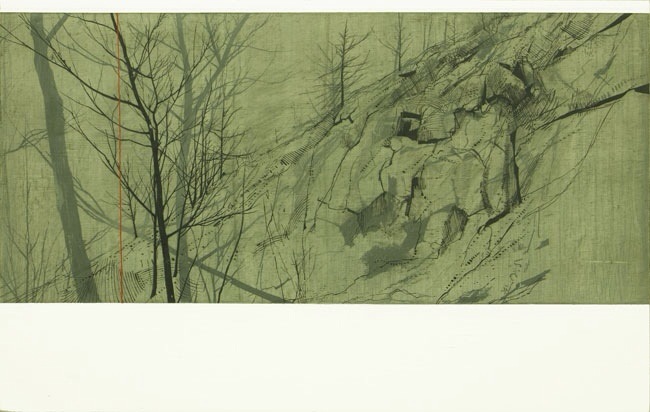 Again, this image does very little justice to the work, but Andrew Mackenzie’s woodland scenes resonated with me, with their flashes of glaring neon, that I guess either act as warning beacons or lure the viewer in – they made me want to adventure inside them, and clamber through Mackenzie’s invisible yet tangible bracken beds in clarty clay-clad boots. Have a read of this interview that I found with Andrew Mackenzie here. Heading to the opposite end of the country to North Yorks I found myself looking out to sea admiring the mystical, painterly work of Cornwall-based Gareth Edwards, and also the late Wilhelmina Barns-Graham and Karl Weshke, two great artists who also made their mark in/on Cornwall.